Town of Fraser and THK kick Off the Fraser River Corridor Master Plan — THK Associates, Inc. 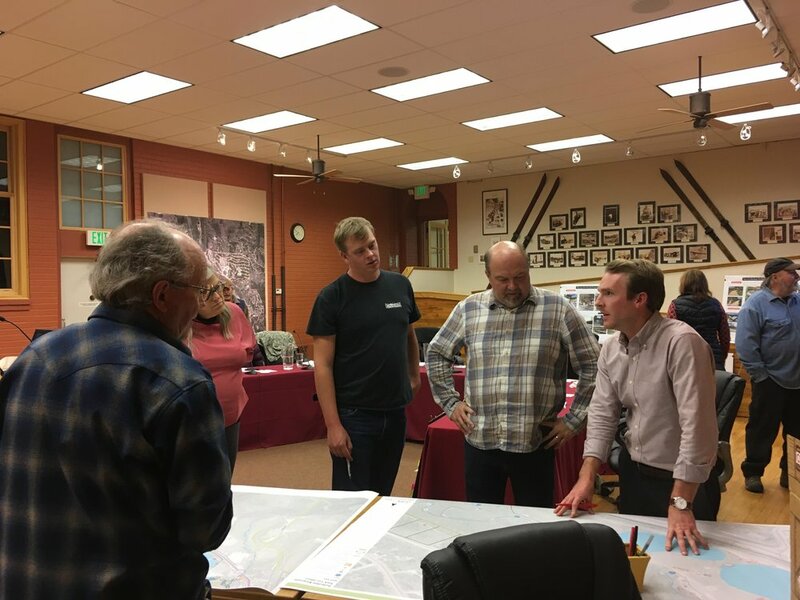 The Town of Fraser recently hosted a multi day envisioning session and open forum discussion that included a series of open house presentations, tours and social events all aimed at developing the Fraser River Corridor Master Plan, a plan that is intended to enhance the 120 Acre, 2 mile stretch of river from Rendezvous entrance to Safeway known as Cozens Ranch. The plan is in its development stages and the Town of Fraser is seeking input from the community to create a vision for the property that identifies open space needs, goals and strategies to activate this under-utilized asset. The outcome of the project is to protect, connect and inspire! “We want to focus on incorporating the Fraser River more into the Town of Fraser and into the lives of the residents and visitors” Fraser Town Manager, Jeff Durbin. Our desired outcome is to showcase Cozens Ranch Open Space to one and all and allow the natural beauty of the river corridor to positively impact people of all ages without having a negative impact on the wildlife population.